Comment: Have trim moulding that needs to be ripped down, cut to size and installed. I have 6 doors that need to be done. I have the material. Comment: need sliding doors for two openings each 45 3/4" x 80" ASAP. Thanks! Comment: Sidewalk railing up to back yard - on wall of house. Another on stairs in front of house. Good quality railings- sturdy. Comment: We are looking to finish the backside of our kitchen countertop with decorative molding, we would also like to put a backsplash up. Comment: Would like to build two built-in bookshelves in a space 78âx 36â. Portland Carpenters are rated 4.87 out of 5 based on 1,104 reviews of 99 pros. 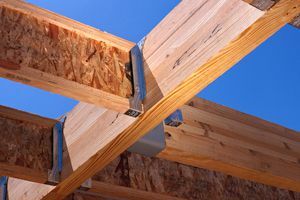 Not Looking for Carpenters Contractors in Portland, OR?